Dentures are not just for older people. Patients of any age may lose some or all of their teeth through sports, injuries, accidents, gum disease, and a variety of other causes. Because teeth are a permanent part of the body, tooth loss is more than just an inconvenience – it can have a significant psychological impact as well. At Smile Arkansas, we know just how important it is to get you back to a natural looking smile you can enjoy for years. Which Type of Denture in Little Rock Is Right for You? Partial Dentures – For those who are missing teeth, but still have healthy teeth as well, a partial denture can be just the thing to restore your healthy smile. A partial denture consists of a removable, gum-colored plastic base with plastic or porcelain teeth attached. It connects to your existing teeth, filling in the gaps to complete your natural-looking smile. A partial denture also helps to prevent your other teeth from shifting out of alignment. These days, dentures can be either immediate or the conventional type. Immediate dentures are inserted on the same day, right after the removal of natural teeth. The advantage of immediate dentures is that you are able to use your new teeth right away, although the fit may need to be adjusted as your gums heal. The conventional denture is prepared after the teeth are extracted. In order to give the gums time to fully heal, you don’t receive your new conventional dentures for another ten to twelve weeks. The advantage of conventional dentures, however, is that they may be a more precise fit for your mouth and thus require fewer adjustments. 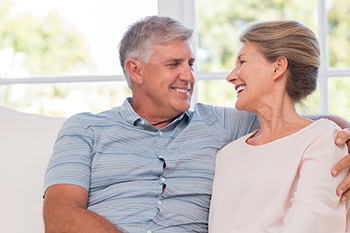 Want to Learn More About Your Options for Dentures in Little Rock, Arkansas? Smile Arkansas is here to help you take the next step! Make an appointment today by calling 501.821.4200 or clicking here. We also invite you to explore the many other restorative and cosmetic smile solutions Dr. Wyant offers, by scheduling your complimentary Dr. Wyant Smile Makeover Consultation. Let us know how we can help you by calling today! As one of the premier dental practices in Arkansas, our team at Smile Arkansas also provides dentures to patients from Little Rock, Maumelle, Conway, Bryant, Benton, Cabot, Sherwood, Hot Springs, Hot Springs Village, Pine Bluff, Fayetteville, Bentonville, Rogers, Springdale, Russellville, El Dorado, and Camden, AR.